Every year, it is fun to take a look at the people who have just cracked the billion-dollar barrier to make the list of that year's billionaires. This year, 195 new billionaires made the list for the first time. And no, we still don't believe, by any stretch of the imagination, that Kylie Jenner is one. However, David Steward is, as are Rodan + Fields' founders, a maker of pricey down coats, a hotelier, and a Brazilian department store tycoon. Let's take a look at a handful of the new and notable billionaires. Brazilian Luciano Hang co-founded the department store chain Havan in 1986 when he was 24 years old. Today, the company employs more than 15,000 people in more than 100 locations in small to mid-sized cities. Hang's success is tied directly to the fact that he focuses on the old school physical store rather than online sales on a website. Hang bought out his co-founder early on in Havan's run and today owns nearly all of the company. Haven's 2017 revenues were a record $1.2 billion, which was 40% more than the year before. In 1990, David Steward founded World Wide Technology, a technology service provider on a shoestring budget with seven employees. WWT focuses on telecommunications networks and enterprise wide conversion services. The company provides planning, procurement and deployment of IT products and solution selling. By 2003, WWT had revenues topping $1 billion. By 2010, revenue was more than $3.2 billion. Today, WWT has revenues of $9 billion and is one of the largest private companies in the U.S. Based in Missouri, WWT is the top U.S. reseller of Cisco solutions and second in the world. The company has more than 40 Fortune 100 companies as customers as well as several major federal purchasing contracts. WWT has more than 3,000 employees across 20 offices around the globe. Katie Rodan and Kathy fields met at Stanford in 1984. Fields was straight from the University of Miami Medical School and Rodan from the USC School of Medicine. They were in Palo Alto to do their dermatology residencies. They quickly bonded over a shared sense of fashion that their classmates did not share and remained friends as they studied for their board exams and joined separate all male dermatology practices in San Francisco. A few years later in 1989, Rodan found herself frustrated by the lack of advances in treating acne and felt the market needed a new alternative. So, she decided to create the acne solution that wasn't available at the time. The first person she called to tell her idea to was Fields. They kept their day jobs while working nights and weekends at their kitchen tables to turn their side project into a wildly successful household name. That product was Proactiv and unlike other acne treatments, Rodan and Fields' formula felt like a high-end beauty cream.That's how the Rodan & Fields empire was born. 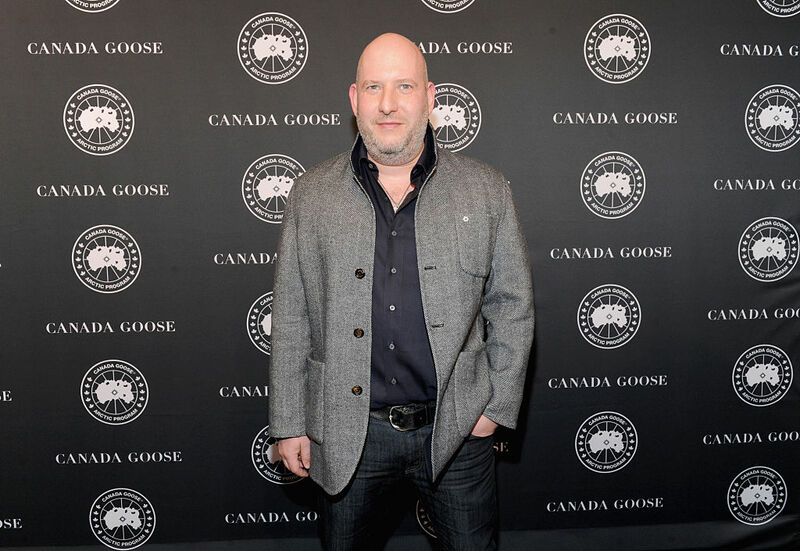 Dani Reiss was an English major in college who had absolutely no intention of taking over his grandfather's small outerwear company Canada Goose. However, that is exactly what he did in 2001 and over the past roughly decade and a half has turned the down filled jacket company into one of the hottest brands in outerwear by giving free coats to people that spend a lot of time out in the cold – polar explorers, attendees of film festivals in cold places like Sundance and Toronto, and bouncers stationed outside nightclubs. Now his $1,000+ parkas are fashion statements that can be found on the streets of New York, London, and Tokyo and on the backs of celebrities including Hugh Jackman, Daniel Craig, and Jennifer Lopez. The company made its IPO two years ago and since that time the stock price has tripled and sales are up 46% to $450 million. Reiss' parkas are made in Canada. David Fattal was born to Iraqi parents who moved to Israel as refugees. He started working in hotels as a receptionist when he was 23. Over the years he also worked as a bellhop, security guard, and salesman – before founding his own hotel company in 1999. Fattal succeeded by targeting local and business tourists rather than international tourists, and persuading hotel owners to switch from global brands to his. Today, Fattal Hotels owns and operates 40 locations in Israel as well as the Leonardo Hotels in Europe. He took Fattal Hotels public in February 2019. California is the place to be if you are a woman and an entrepreneur. The gold rush is in full force, with 27 women on this year's list of America's Richest Self Made women make their home in the Golden State. That is nearly half of the entire list!